Discussion in 'Public Events' started by Simbo, Nov 12, 2015. The greatest adventures don't necessarily have to take you far and wide. They can occur right on your own doorstep! 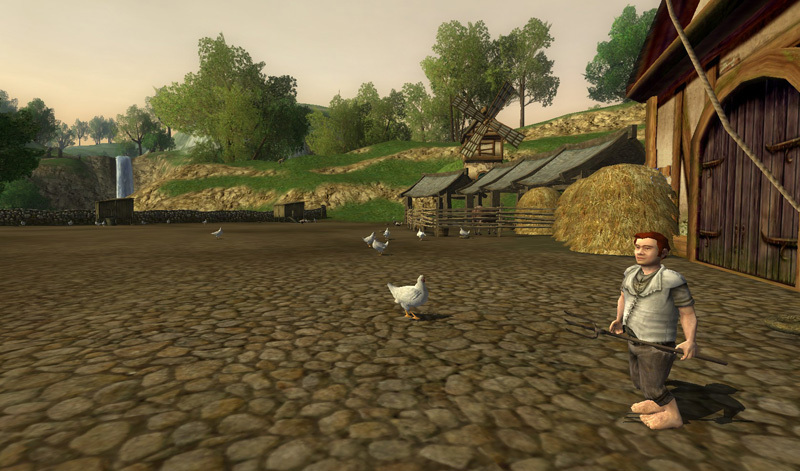 On in the case of Farmer Sandson's Chickens, just across the Brandywine Bridge in Bree-land. Those chucks have travelled through Bree-land, but never actually to Bree-land itself. It's time for them to explore and meet their fellow animals across the water! This event involves some players taking on one of the "Flying the Coop" Chicken Quests (ideally it will be the "Flying the Coop -- Bree-Land" quest) and then attempting to walk to various spots Bree-land. A number of participants will also need to act as herders, mainly to protect the chickens from harm. Whether you want to play a chicken, or be a herder, can be decided on the day. There are a number of introductory quests you have to do before getting the "Flying the coop quests", see the quest lists in the linked page above. If you plan to be a chicken, you should have done these before meeting up for the chicken run. You don't actually have to complete the "Flying the Coop -- North Downs" quest when you get to the North Downs, if you'd like to keep it open for a later run too! While being a chicken, you cannot speak to your herders. We'll likely have at least one chuck who'll be in touch with the herd team. The chickens can join a separate chat channel, though, to be announced on the day. Expect a lot of Cluck Norris jokes! When we head through the world, we often get other players joining the herding team. This is very much encouraged! Yay! Well chucked, everyone! Here are some drawings from the night! Lully, Rubysue, Neti and 2 others like this.